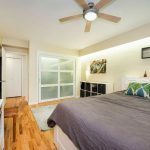 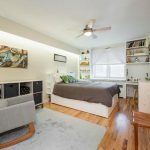 Buying a home in NYC is rarely easy for young people, especially when they’re looking for that coveted second bedroom. 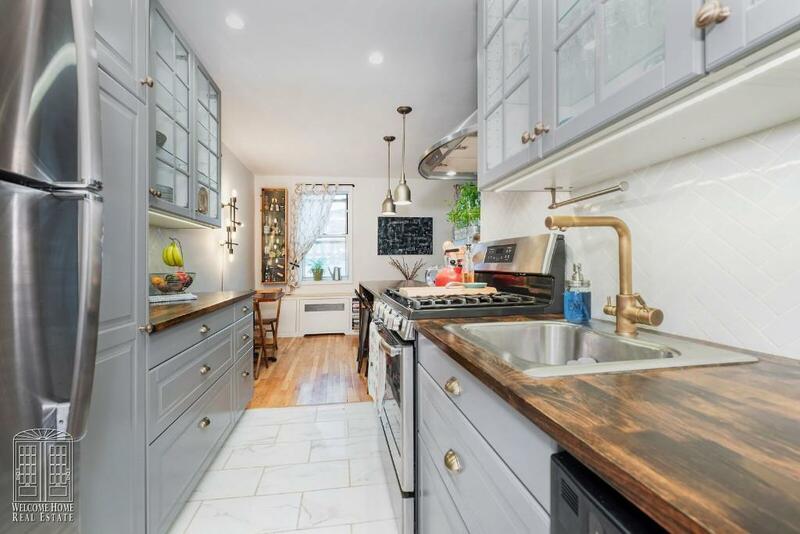 But this newly renovated co-op at 47-37 45th Street in Sunnyside might just be the diamond in the rough. 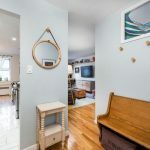 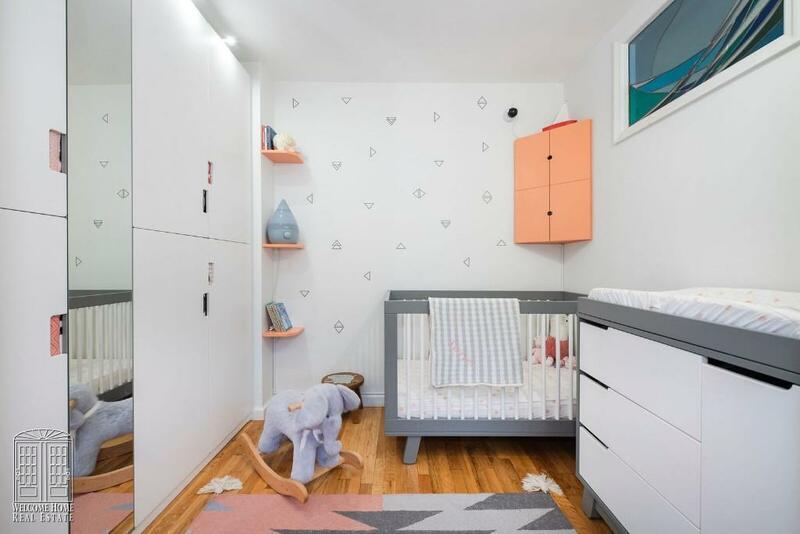 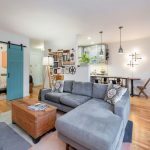 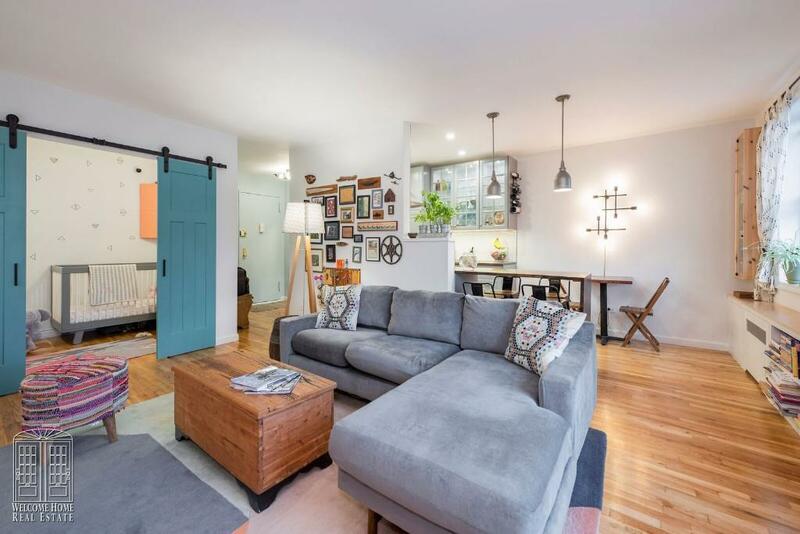 Not only is the place a 15-minute subway ride from Midtown, but it has a small second bedroom/office (currently used as a nursery) and cool barn-style decor–all for the very reasonable price of $429,000. 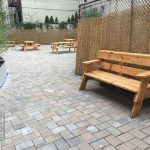 Located on the border of Sunnyside and Woodside, the building offers a bike/stroller room, laundry room, and recently added outdoor patio complete with picnic tables. 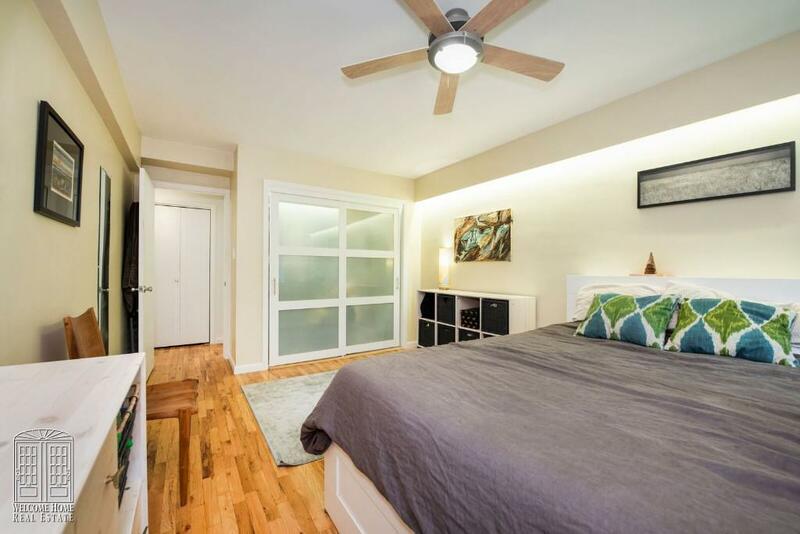 In addition to its low asking price, this fifth-floor unit also has a reasonable maintenance fee of $702/month. 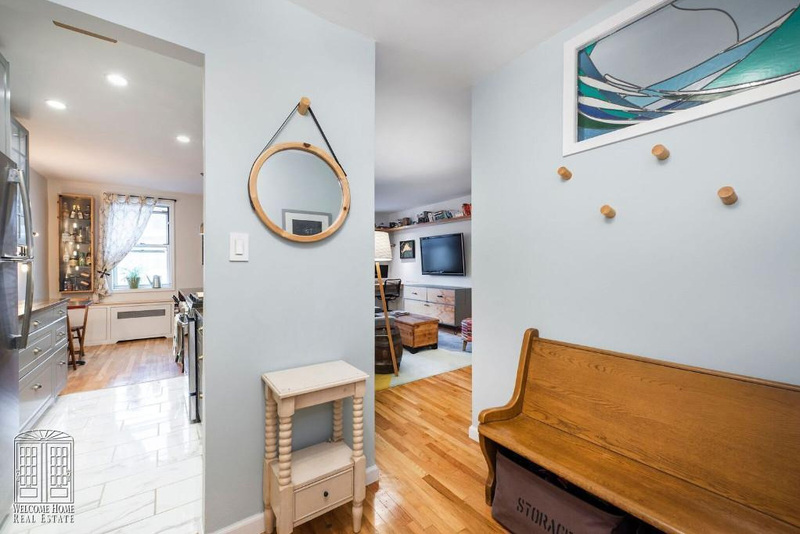 More perks include a separate entry foyer and an adjacent, oversized coat/storage closet. 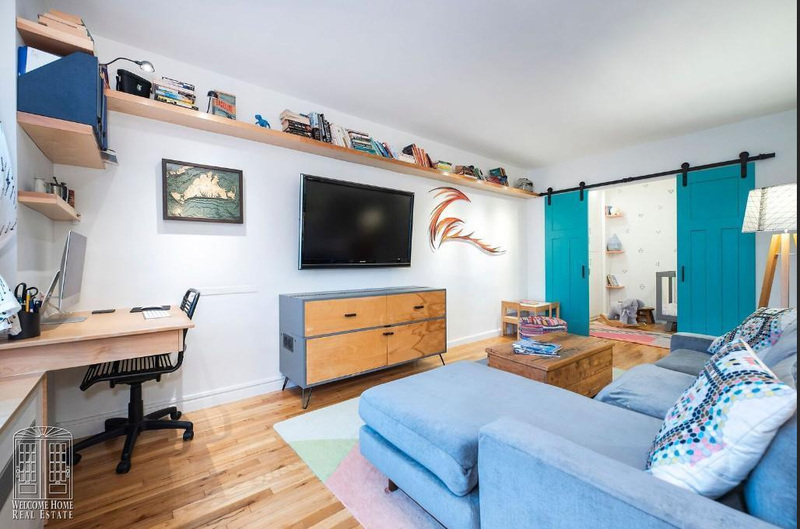 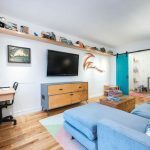 The focal point of the apartment is the turquoise sliding barn door that separates the living space from the second bedroom, which has built-in wardrobe closets. 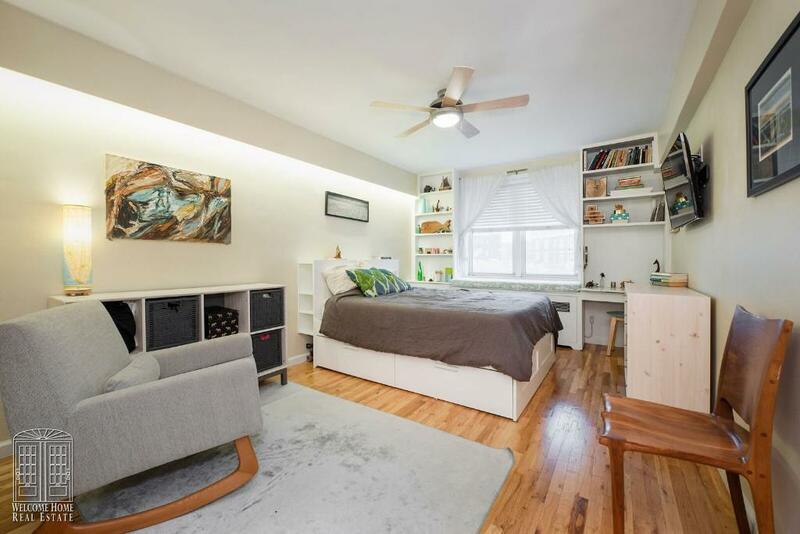 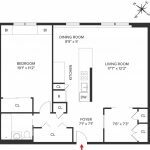 The main bedroom is large enough to fit a separte seating area and has built-in shelving and a walk-in closet. 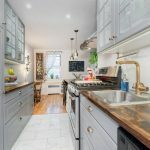 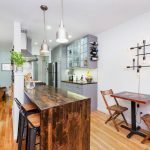 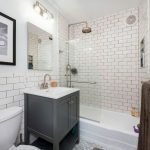 The kitchen has stainless steel appliances, a subway tile backsplash, beautiful cabinetry with some glass upper fronts, stylish wooden counters, and Carrara tile floors. 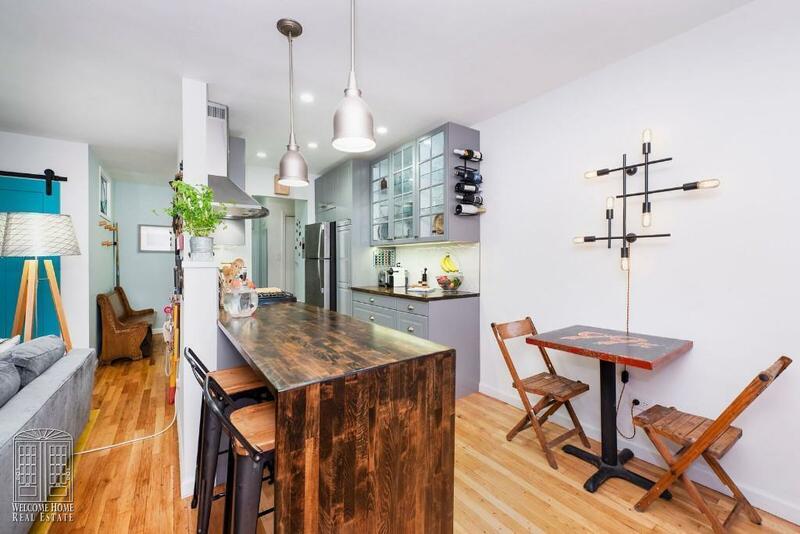 There’s even a high-top table built as an extension of the counter.